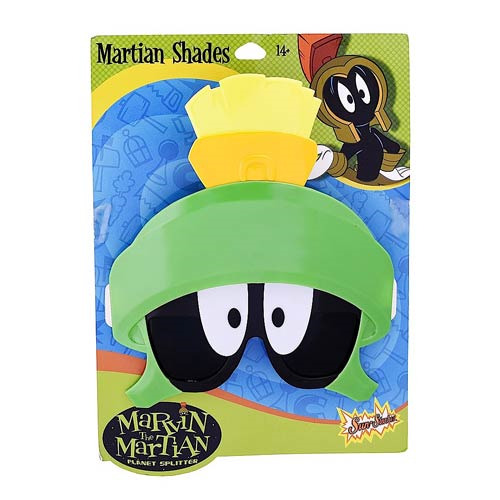 Become Marvin the Martian with these Looney Tunes Marvin the Martian Sun-Staches! These awesome glasses feature Marvin's signature green helmet and iconic eyes. Perfect for your next costume, grab one of these Looney Tunes Marvin the Martian Sun-Staches before they are gone. One size fits most and all Sun-Staches provide 100% UV400 protection. Ages 14 and up.